You Are Here: Home > What are the Differences Between the 2019 Honda Accord Trims? Are you interested in the new Honda Accord, but don’t know which trim will best meet your needs? Our comprehensive 2019 Accord trim package comparison will help clear up any questions you have. You’ll get plenty of information on each Accord trim so you can select the proper vehicle for your lifestyle. Continue reading to get started, or browse the new vehicle inventory at our Honda dealership in Overland Park, KS for more information. The Honda Accord LS, Sport, and EX are the three starting trims in the lineup, and they include a host of incredible features for you to choose from. They are all equipped with the 1.5T 4-cylinder engine, which boasts 192 HP and 192 lb.-ft. of torque. The Accord LS and EX are equipped with the Continuously Variable Transmission (CVT) with Sport Mode while the Sport comes with a manual transmission with available paddle shifters. Below, you’ll find more information about specific features on each trim. The Honda Accord Sport and EX have a one-touch power moonroof with tilt features to add a little sunshine or moonlight to your drive. Heated front seats are also standard on the Sport and EX. If you choose the Accord Sport, you’ll get exclusive features like a leather-wrapped steering wheel and shift knob, as well as sport pedals. All three trims have a Pandora® Radio compatibility so you can listen to your favorite tunes. Apple CarPlay™, Android Auto™, and SiriusXM® are standard on only the Sport and EX trims. You expect more premium features on higher trim levels, and that’s exactly what you’ll get on the 2019 Honda Accord EX-L vs. Touring. Check out top features you can look forward to on these sought-after trims with the following information. Leather-trimmed seats are standard on both the Accord EX-L and Touring. Additionally, heated seats are standard on both trims, but Touring drivers can expect rear heated seats and front ventilated seats as well. If you prefer the best audio quality when you’re listening to your favorite songs and albums, you’ll want to select the 2019 Honda Accord EX-L or Touring. Both trims are standard with the 450-watt premium audio system with ten speakers. Both the Honda Accord EX-L and Touring are available with the 2.0LT engine. This turbocharged 4-cylinder engine delivers 252 HP and 273 lb.-ft. of torque to power up your everyday drive. The Accord EX-L is paired with the Continuously Variable Transmission (CVT) with Sport Mode while the Touring comes with a 10-speed automatic transmission with Shift-By-Wire and paddle shifters. Have you decided to lease your Honda Accord? 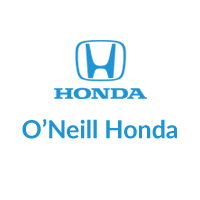 O’Neill Honda has a number of excellent Accord lease offers to choose from. Browse through our lease specials to get started. Get behind the wheel of the new Accord by scheduling a test drive at our Honda dealership in Overland Park, KS today! For more information, contact O’Neill Honda by sending a message or calling 844-242-2336. Have you decided that the 2018 Honda Accord is the ideal sedan for your commute to work? Before you sign, consider which 2018 Honda Accord trim package will best meet your needs. Below, you’ll find the key features with each Accord trim package to get a clearer picture of what each trim offers. Check out our current Accord lease specials to get excellent savings on your Honda Accord. We also encourage you to look through the new vehicle inventory at our Honda dealership in Overland Park, KS for available Accord trims. What are the differences between the Honda Accord LX vs. Sport vs. EX? From exterior design to technology, you’ll find many differences between the Honda Accord LS, Sport, and EX. The following table has essential information on each trim package for you to consider. On the upper end of the Honda Accord trim package lineup are the EX-L and Touring. If you’re looking for premium seating or customizable settings, you’ll want to check these trims out. Are you looking for a more efficient drive? The 2018 Honda Accord is a great choice! 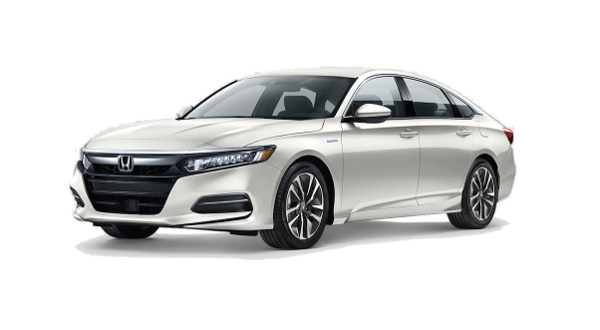 Boasting 47 miles per gallon in both the city and on the highway*, the Honda Accord Hybrid, equipped with a 2.0L, 3rd-generation, 2-motor hybrid powertrain, gives you the fuel economy you need with the sought-after features of the gas-powered models. *47 city/47 highway/47 combined mpg rating. Based on 2018 EPA mileage ratings. Use for comparison purposes only. Your mileage will vary depending on driving conditions, how you drive and maintain your vehicle, battery-pack age/condition and other factors. Slip into the driver’s seat to experience this impressive sedan for yourself by scheduling a test drive at our Honda dealership in Overland Park, KS today! Reach out to the O’Neill Honda team by sending a message or calling (833) 718-9760 for more information.